One of my favourite things to have is stuffed pastas. Doesn’t matter if it’s manicotti, cannelloni, shells, etc. Anything goes when it comes to these treats. I usually buy these from the grocery stores pre-done because it’s less hassle. Since I am doing that make meals ahead project for my freezer, I decided to look through my cupboards and see what I could find. 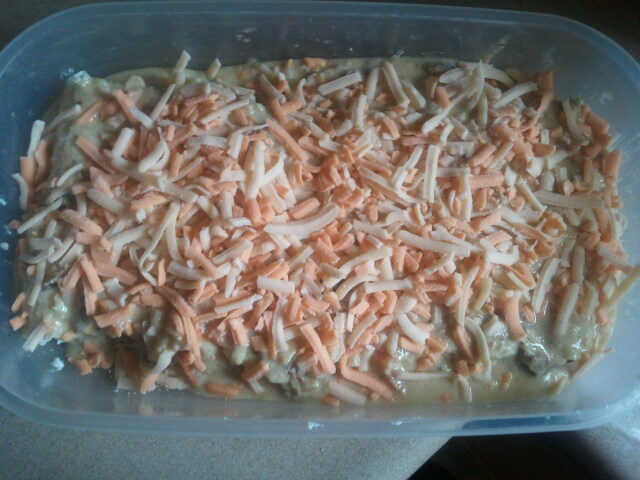 I found half a box of lasagna noodles sitting there from the last time I made lasagna. I also bought some ricotta on sale at the grocery store the other day. So, why not? Here is my recipe for pasta roll ups. They freeze amazingly well. I used up the last of my roasted chicken alfredo that I froze last time I made roasted chicken leftovers (recipe is in a previous post) but any type of pasta sauce works great in this recipe. In a small frying pan, melt butter and cook onions until softened. Put into a mixing bowl and mix with ricotta, garlic salt and chili flakes. Set aside. Cut noodles in half and lay flat on working surface. Divide up ricotta mixture on to pasta and then roll pasta. Place into microwave safe dish seal side down. 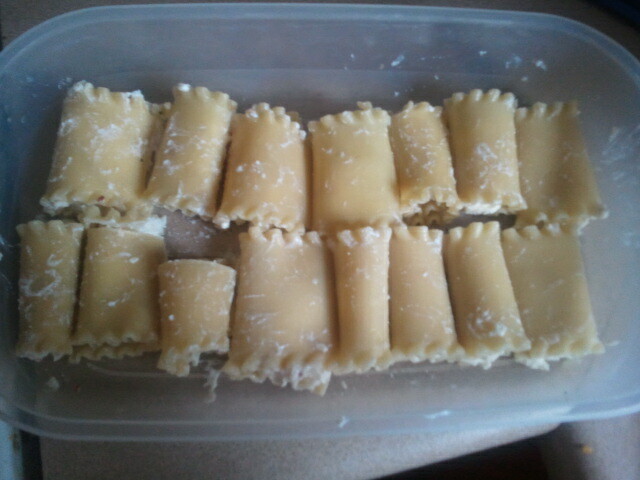 Pour pasta sauce over the roll up and top with cheese. Cover with lid tightly and freeze for up to 6 months. To serve microwave until internal temperature hit 160F. This is all dependent on if you plan on eating it right away or cooking from frozen. I suggest defrosting it in the fridge over night before microwaving it so it doesn’t take as long. Back From Camp! Finally Time To Post! Follow Me To the Depth of Geekdom!